6 years 39 weeks ago. 6 years 40 weeks ago. Need to Host your Drupal Forum Forum? Our best selection of plugins for Drupal Forum. WYSIWYG Editors Module - Add TinyMCE, FCKEditor, markItUp WYSIWYG Editors to Drupal. Image Attachments Module - Post Attachments to topics (more particularly the image_attach module) and potentially add Thread Icon. User Badges Module and User Titles Module - Add User Ranks to Drupal. Private Messages Module and PM Lite Module - Add an internal messaging system in your Drupal Installation. Smileys - Add emoticons to comments and nodes. Advanced Forum Module - A Module that rewrites some parts of the Drupal forum features, to improve and complete it. 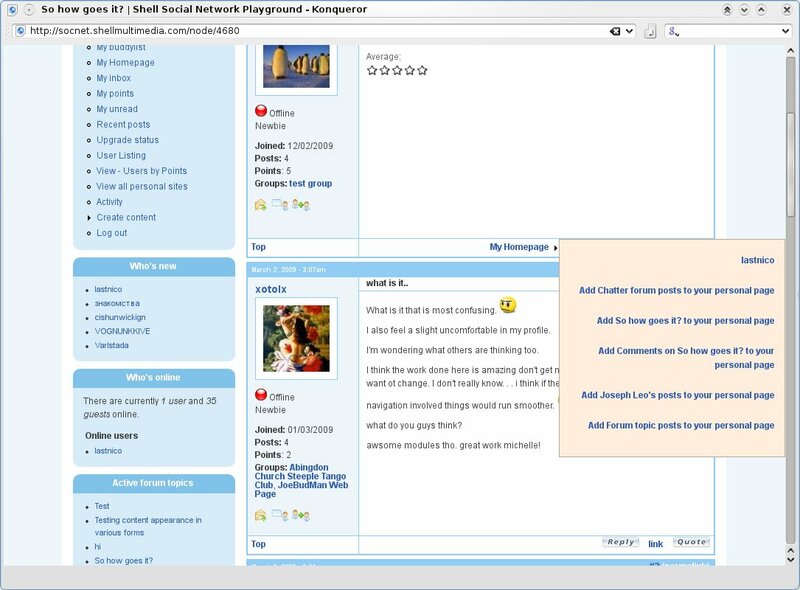 The Online Users List is part of this module. Quoting Module - Add the ability to quote other users comments. A problem with Drupal Forum? Drupal is a free software that allows individual or community of users to easily publish, manage and organize a website. The primary goal of Drupal is to provide a really powerful framework on which you can install additional packages to get the website you dream. Indeed, it could come out that a CMS is not really suited for supporting a forum software, because its module could not be as powerful as a dedicated software would be. You have to think that a community is not the only thing you want to host on your website. Posting articles, tips, ideas and reviews on a forum is, of course, possible, but maybe there are some other better way to do that. One of the possible solution is a CMS or a blog, which, with articles or blog entries won't prevent you from having comments, and could of course be related to an additional forum topic. If your idea is in this list, then you should take some times to read this review to see if Drupal could match your desires. January 5, 2011: Several fixes, thanks to Cor Driehuis. June 16, 2010: Some updates. March 25, 2009: Additional Modules have been added to the review to explain how to improve a default Drupal installation. Drupal Forum is recommended for Large Community. Languages supported by Drupal Forum. Drupal is known to work in every configuration which accepts the PHP scripting language. It means that operating systems and web servers that are supporting Drupal are not all listed here. SQLite database should be normally supported in the next major release of Drupal 7.0. FiveStar Module - Comment and Topic Rating. Access Control List Module - Add the ability to configure access to some topics (this way, you can set some of them as Hidden for specific users). Mail Comment Module - This module is perfect for let users post new comment from their email box. Using the taxonomy, which is the way Drupal uses to define additional tags to each node, it is quite common to find related information to a current page. Unfortunately, the taxonomy is internally used by the forum to regroup each thread in a particular section, which means you do not have access to topic tags, neither related threads. The Flat or Threaded view of your forum will depend on the Drupal Theme you use. Some details about Drupal Forum features regarding members. Bookmarks Module - Users can share their bookmarks, included those about the current website. Gravatar Integration Module - Integrate Gravatars into Drupal. Subscriptions Module - Add links to support email notification when comments are added in a topic. 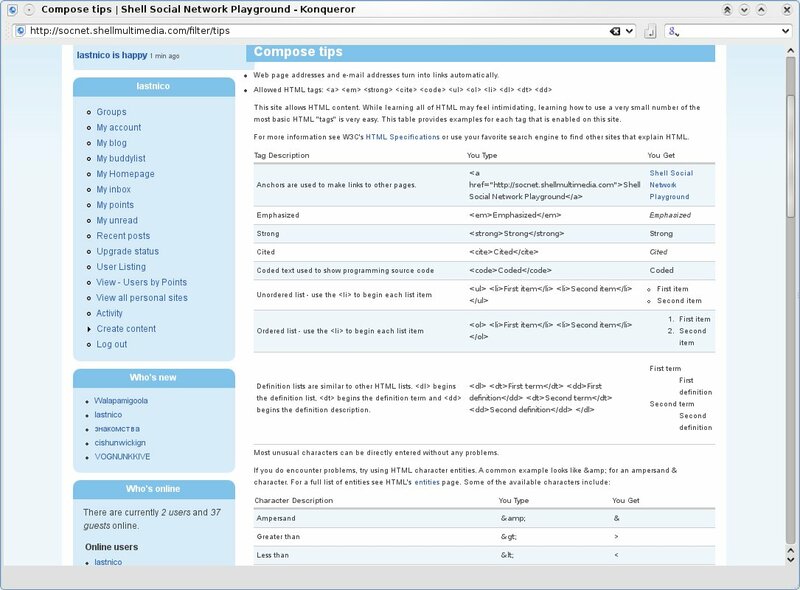 Many others modules include Notification Support, and a comparison of them is available on Drupal website. Comment RSS Module - Add Notification support using syndication on comments. Ubercart Module - Support paying gateway (useful for payment subscription). User List Module - Add several Users List to a Drupal installation. Convert an existing forum to Drupal Forum. Drush Module - Handles database pruning. For more information, a dedicated forum about migration from other tools is available at Drupal website. Mollom Module Fight spam with this remote tool, which is free, and originally developed by Dries Buytaert, founder of Drupal. Bad Behavior Module - Detects bad behaviors and handle users who do bad things (spamming, copy/paste commenting,...). Secunia Advisories severity affecting Drupal Forum. Secunia Advisories impact affecting Drupal Forum. Wordfilter Module - Replace some words by others. 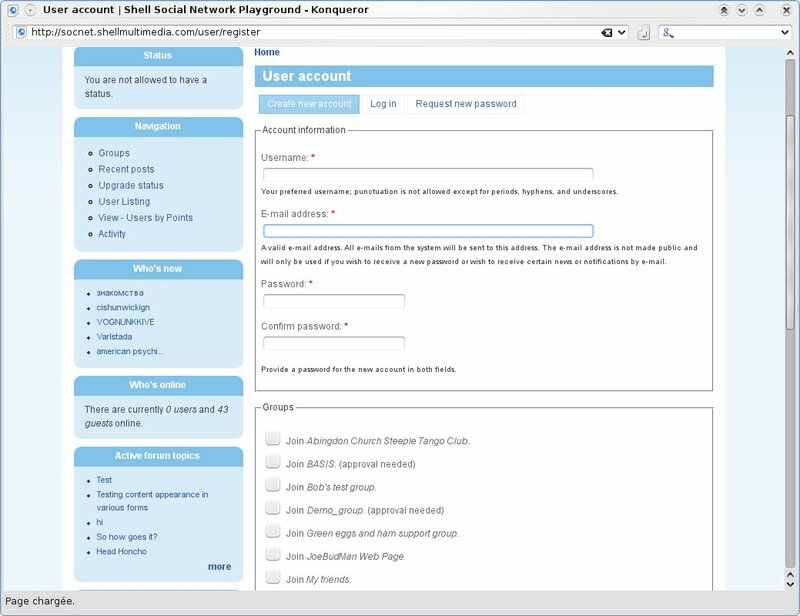 Userplus Module - Manage users and groups simpler and with more advantages. Comment Mover Module - Move Topics and Comments. Simple News Module and Notify Module - Mass Mailing and Newsletters management. 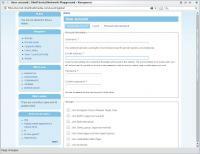 Backup and Migrate Module - Backup and Restore entire forum and CMS database. Of course, it's quite easy to add new custom BBCodes using BUEditor, that let's you configure your own markup language if you wish. If your are looking for good resources about customizing and improve the Forum appearance of Drupal, you may look at here or here. Does Drupal Forum correctly follow (X)HTML and CSS norms? Drupal is using themes so the norms respect will depends on the theme you are using. Please additionally note that bundled Drupal themes are XHTML and CSS strict. Full integration with Drupal CMS. An incredible list of modules, an huge community and an extensive support. The forum software available in Drupal is clearly powerful and well integrated. The huge list of modules and themes provided by the Drupal community will let you customize and configure your forum as you wish. The real bad point that we could find is that it will took you some times before disabling and prepare a Drupal installation to only enabled the forum itself. Moreover, a default Drupal installation with the default themes makes forum topics look like articles with comments. This can of course be fixed using existing themes or creating your own one (even if this need some skills in Web Development). 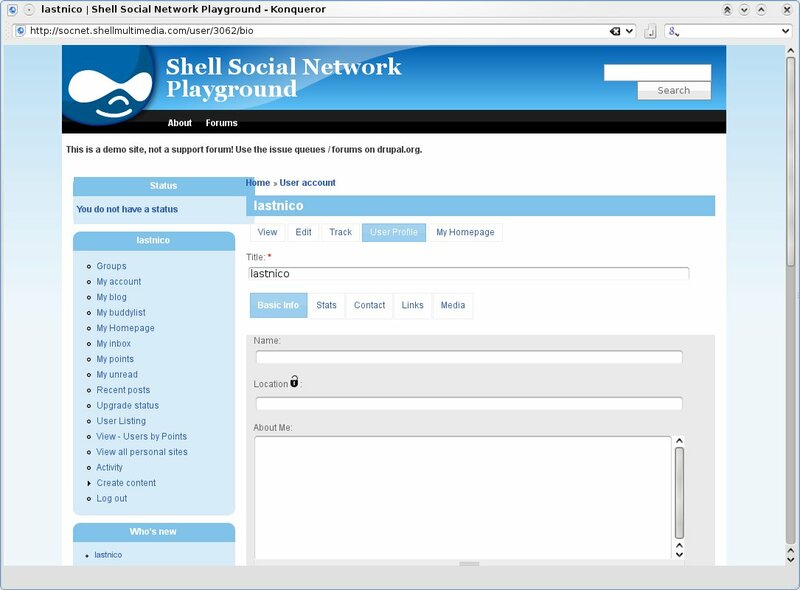 Experiment the Drupal Forum Demo. Compare Drupal Forum vs PhpBB 3 vs Simple Machines 2. Ask your questions to the Drupal Forum Community Forum. Get Users Reviews about Drupal Forum and Share your experience. As I mentioned in the Drupal thread, this review does not take Drupal's contributed modules into account. It mentions that they are there but then says "no" or "unknown" to all the functionality they provide. Core forum is just a start. Anyone running a serious Drupal forum will use contributed modules to flesh it out and this review should take that into consideration. Thank you for this comment. I've updated the review and added a complete list of modules that a forum-oriented installation of Drupal will probably required. This will help without any doubt users that want to use Drupal as main forum tool. Of course, if you think about other useful modules, do not hesitate to post another comment. It's a start, though far from a complete list. And I suggest you drop the reference to the long dead flatforum. You might want to mention Advanced Forum as well. Review updated. Please also note that the module list is separated on the multiple pages of the review. Backup / Restore database - Backup & Migrate module (contrib). Does entire site, not just forum. Your notes have been merged to the Drupal Review, and the new modules you pointed have also been added to indicate how to install a good forum software using Drupal. I could really understand your point of view, and more over, I prefer your kind of behavior, that improves the general quality of this website, instead of the silence of anonymous people. I've been using Drupal with Michelle's "Advanced Forum" for a bit over a year now, I simply love it. I moved from a fully licensed version of IPB Forum over to it and yes I've used phpBB and SMF forums. Drupal is an excellent option with Michelle's AF module along with other modules. Down side, Drupal has a bit more of a learning curve but the power and the quality of the end result is simply outstanding. On top of that Mollom is the best anti Spam solution I've ever seen, nothing the other forum scripts have match Mollom in protecting your site from scum Spammers. This site, this review, being able to compare to Vanilla and bbpress, and the live demo are just outstanding. I think my new project will use Drupal (although it scares me a little; intimidating to go for a full-blown CMS), but I could not find any other tool to really integrate articles with proper forum discussion on the one page (ie. not just article-comments). While that document is accessible to the public, it's not meant for the public. It was a working doc I put together back when there was a group of us working on forums for a while and we needed an idea of what was done and what wasn't. It's unfinished, unpolished and, now, very out of date. "Like this review"? I don't understand. How is a working document meant for a small group of people that wasn't meant for public consumption and that I would prefer to not have linked to anything like a website specifically set up for public software reviews? At any rate, I'll just go take the document down and that will solve the problem. While I understand that that spreadsheet document is outdated, it would be great to have an up-to-date equivalent. Nico is very open to improvements, and I'm sure he'd be willing to add a list of feature - module pairs to the review. How can the forum be toggled between flat and threaded? The review mentions something about the theme; can it be more specific? As you can see here, this current discussion is threaded, while our Forum uses a flat architecture. This is because in the configuration of these two types of nodes, one is "Flat list - expanded", while the other is "Threaded list - expanded" on the configuration page /admin/content/node-type/page, section Comment Settings / Default display mode. The trouble is keeping something like that up to date. Drupal's modules change rapidly and what is recommended at one moment may not be recommended the next. I'd rather spend my time coding than keeping tabs on other peoples' modules. That document was put together because Sony was sponsoring some people to work on forums for a while a couple years ago and, since I had a head start on knowing what was what with Drupal's forum solutions, I made some rough docs so everyone knew what we needed to focus on. At the time I made it, I didn't mind the public seeing it and I believe I even linked to it in a g.d.o post. But, 2 years later, it is very out of date and gives a bad impression and potentially bad advice and should no longer be used as a reference. I am an absolute newbie when it comes to forum software, so excuse the maybe somewhat silly question. I do really like the look of this particular forum. add it to my existing site? And if I can do so...... how?? Thanks in advance to anyone that takes the time to help me out with this one. So it basically means you'll have to implement them all on your current Drupal theme in order to have them, which requires some work. lol I just seem to have had one of those "whoooosh" moments and felt it going way over my head. if the forum stands alone from a whole Drupal themed website. Feeling a bit dumb at the moment I will retreat and try to find something else. Thank you ever so much for your reply though. It is a good great experience for me to have this. I recommended your advice and now my Drupal Site is looking far better. Whenever you get time then please have a look for any changes. Thank you for the services and reviews,, they are outstanding. How do you use Drupal? Is there a particular use case that draws you towards implementing it for you and your clients. And maybe even more interesting when do you NOT gravitate toward the Drupal system for a particular project? Well, you have to remember that Drupal isn't stand alone forum software. To really do anything with Drupal, you need to add contributed modules. If you take contrib into consideration, you can get forum threads that look like this without a bit of custom theming needed. The reason that I tend to avoid integrating other forum systems into Drupal is that I want the forums to completely integrate with the rest of the site and to be searchable with the Drupal search form. Drupal forums don't have as many features as other systems like vBulletin; their main advantage is that they are completely integrated into the rest of the CMS. Hmmm I have add File field for users so they can add images and other interesting files. Everything works nice but I want images to be automaticaly display in comment(posts). Is there any way I can do that ? I've updated the review and added a complete list of modules that a forum-oriented installation of Drupal will probably required. 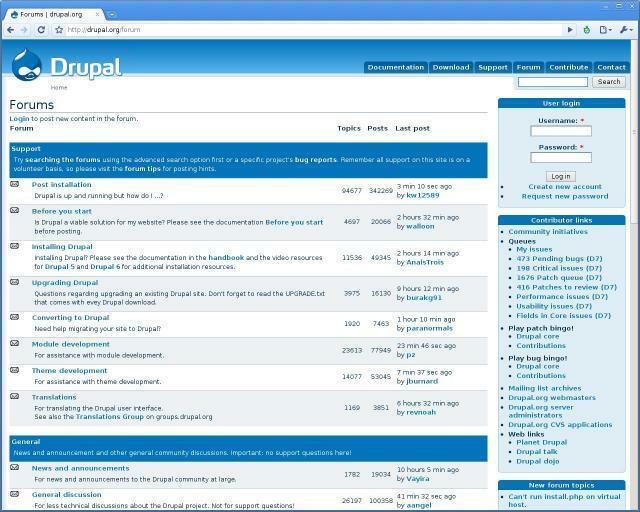 This will help without any doubt users that want to use Drupal as main forum tool. And I suggest you drop the reference to the long dead flatforum. You might want to mention Advanced Forum as well. Drupal development, a free open source and content management software is written in PHP and supported by MySQL database. Drupal development supports enterprises of different kinds such as small, mid-size and large ones. The versatility of drupal is doubtless as it is easy to install, user-friendly, and comes with different features which are functional simultaneously. I love drupal for community sites, and well, i think drupal is designed for forum sites. Hence, I really feel awful using drupal on ecommerce sites yet at the same feel amazed how they come up with that kind of concept and how long it takes to finish an ecommerce site made form drupal. I am still a fan of drupal in terms of making some community sites. Well, I think drupal is more useful with high security while other open sources of WP and Joomla is good to use but need more updates. His achievements, aims to show how to install the software forum, combined using Drupal comment Drupal, has added a new module. What i have to do to get it? The problem is one thing. The problem is one thing. Drupal modules are rapidly changing, the following recommendations can not be any suggestion times. I prefer to spend more time than others to keep an eye coding modules. This file is prepared, because Sony is a sponsor of some of the people working on the forum, and a few years ago because I had a good start to the solution Drupal forum know what it is we did a bit of rough paper, therefore, all that we need to focus. As I do not have an open mind, I think I even think that this is the position of GERD. But two years later, very old, giving a bad impression and potential adverse opinion and should not be used as a reference. I prefer to use Wordpress. It is easy and very useful cms. I am using both Drupal & WP...WP is very popular and easy to config. However, Drupal is also a good one.